Anthony's latest album Sing Under the Bridges joins thirteen other acts - some of them among the biggest names in Northern Ireland music for the Northern Ireland Music Prize, to be announced in mid-November. Organised by the Oh Yeah Music Centre, the new award is aimed at recognising the great wealth of recorded music from these parts. NI music is experiencing a creative boom. The quality and quantity of great records from all genres enjoying an all-time high point. The NI Music Prize will provide recognition of this fact. An academy of music industry professionals connected to NI were approached to vote and to create a shortlist of albums. Fourteen records comprise the final list. A diverse and exciting array, it includes artists such as the world-conquering Two Door Cinema Club, esteemed troubadour Foy Vance, instrumental post-rockers And So I Watch You From Afar and the electronic adventure of Space Dimension Controller. The ultimate winner of the prize will be decided by a select panel of experts and announced at a ceremony in Belfast’s Mandela Hall on November 12, 2013. A selection of shortlisted acts will be playing live at the event, including Anthony Toner, Girls Names, A Plastic Rose, The Bonnevilles and more. 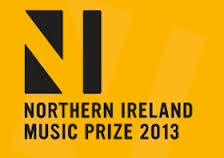 The NI Music Prize aims to establish itself as an important annual event. Drawing attention to the local successes and providing a critical benchmark.The event is taking place during Belfast Music Week. Now in its fourth year, Belfast Music Week has become a focal point for the music scene in Northern Ireland and the NI Music Prize will be a highlight of this year’s festivities.